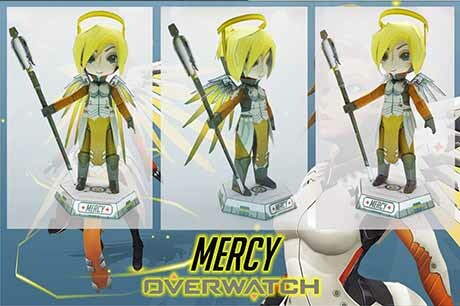 Mercy is one of the heroes in Overwatch. She is a nanobiologist and a field medic who always stays at the front-line of wars and crises around the world to heal the wounded and imperiled. Papercraft created by Raven-Sent-iv.